This is a modern hand pump suction set that contains lightweight thin walled glass cups. 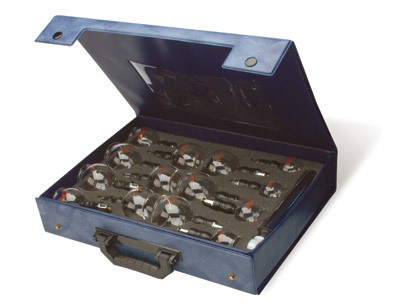 Set contains 14 glass cups with valves, eight 1.8" dia. , two 1.5" dia. , two 1.3" dia. , two 1" dia. and a straight hand pump with carrying case.